The Justice Department argued in court Thursday that key pieces of Obamacare, including the individual mandate are unconstitutional. The 2012 Supreme Court ruling which upheld Obamacare’s individual mandate under Congress’s power to tax is being challenged by the DOJ. Since the individual mandate was repealed by Congress last year, the DOJ argued the mandate is no longer technically a tax, therefore unconstitutional. The liberals are going ballistic over this news arguing the Justice Department is supposed to defend laws, not make them. These same liberals were silent when Obama instructed his Justice Department (AG Holder) to stop defending DOMA (Defense of Marriage Act). The Department of Justice (DOJ) argued in court Thursday that key parts of ObamaCare are now unconstitutional, siding in large part with a conservative challenge to the law. The lawsuit in question was filed in February by Texas and 19 other conservative states, arguing that ObamaCare is unconstitutional and should be overturned. The DOJ argues that ObamaCare’s protections against people with pre-existing conditions being denied coverage or charged more should be invalidated, maintaining that the individual mandate that people have insurance or face a tax penalty is now unconstitutional. The conservative states and DOJ point to the Supreme Court’s 2012 ruling that upheld ObamaCare’s individual mandate under Congress’s taxing power. Now that Congress has repealed the mandate penalty as part of last year’s tax bill – while technically keeping the mandate itself in place – they argue the mandate is no longer a tax and is now invalid. They also argue that the key pre-existing condition protections cannot be separated from the mandate and should be invalidated. The DOJ argues the remainder of the law can stay. The chances for that argument succeeding are viewed with deep skepticism by legal experts, in part because Congress itself indicated that the rest of ObamaCare could still stand without the mandate when it moved to repeal the tax penalty last year. The case is currently before a federal district court judge in Texas, Reed O’Connor, who was appointed by former President George W. Bush. 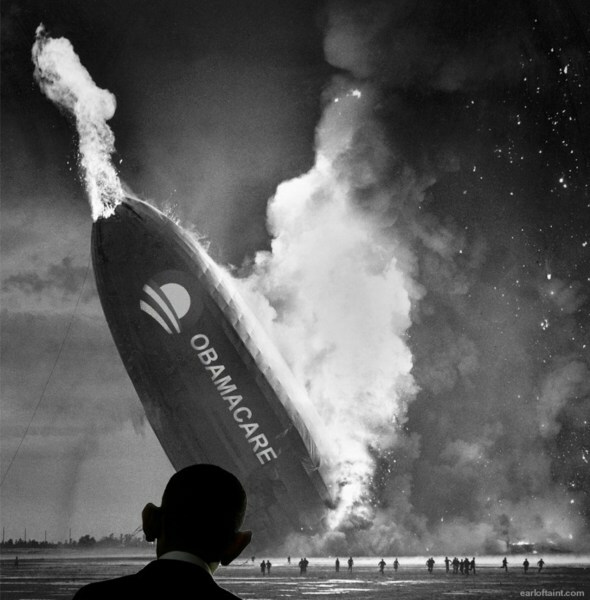 Obamacare is a complete disaster and is predictably imploding. Of course Obamacare is unconstitutional; it was one giant transfer of wealth. Americans are furious because their premiums and deductibles have skyrocketed while doctor choice and care has dwindled.